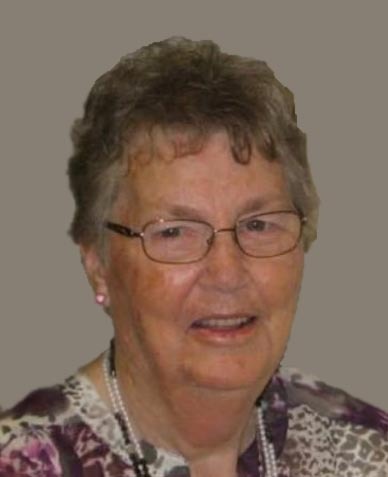 On Saturday, January 26, 2019, with family by her side, Martha Johema Dunne (nee Thole) of Humboldt passed away peacefully at the age of 89 at St. Paul’s Hospital in Saskatoon. Martha was born June 25, 1929 to Henry and Josephine (nee Böchmann) Thole on the farm in the St. Gregor District. Martha obtained her grade eight education. She then worked as a caregiver for various farm families in the district. During that time she met the love of her life, Lawrence Dunne at a Valentine’s Day dance in LeRoy. Two years later on November 18, 1946 they married and began their life on the farm. Lawrence and Martha knew the meaning of love. They had a wonderful marriage built on good communication, trust and faith in the Lord. They were partners, if Lawrence was busy in the field Martha helped; if Martha needed help with house work Lawrence was there. They had a humble beginning but they worked hard together to make the best life they could for their family. Martha and Lawrence farmed until 1984 when they moved to Humboldt. Her love of homemaking did not stop at the farm as she continued to be a caregiver for many children in Humboldt. Family was incredibly important to Martha. Her children, grandchildren, and great grandchildren were her pride and joy. A lot of her favourite activities revolved around spending time with her family. She loved to go camping, fishing, taking bus trips and travelling. They travelled to various northern lakes, Alaska, Black Hills, and Disney World. Most recently she enjoyed many trips to visit her twin sister Mary in Kelvington. Those visits were very special for both of them. Martha also received great joy through her faith and was a lifetime member of the C.W.L. Martha will be lovingly remembered and greatly missed by her seven children: Darlene (Bill) Crowter of Saskatoon; Patrick (Darlene) of Humboldt, Glen (Marilyn) of Langham, Jerome (Susan) of Humboldt, Warren (Judy) of Watrous, Timothy (Sharon) of Lanigan and Lawrence Jr. (Sandi) of Humboldt; 18 grandchildren, and 32 great-grandchildren; numerous nieces and nephews; her condo friends; her siblings: Mary Dunne (twin), Henry (Evelyn) Thole, Elizabeth Harpauer, Clara Lemmerich, Josephine Crone, and Joe Thole; and her in-laws Ann Thiel, Cecelia Bendel, Jim (Fe) Dunne, Wilfred (Laura) Dunne, Mary Anne Dunne, Alan (Velma) Dunne, and Mildred Dunne. Martha was predeceased by her husband Lawrence Dunne Sr. (2012); sons Dennis Dunne (1953), and Kenneth Dunne (2018); parents Henry and Josephine Thole; parents in-law Charles and Mary Dunne Sr.; and her siblings in-law August Thiel, Frances (Mary) Dunne, Charles Dunne Jr., William Dunne, Kathleen Peterson, Jake Bendel, Alice Walkley, John Harpauer, Paul Crone, Leo Dunne, Henry Lemmerich; and Sandra Thole. A Prayer Service was held at St. Augustine R.C. Church, Thursday, January 31, 2019 at 8:00 p.m. A Funeral Mass was held at St. Augustine R. C. Church on Friday February 1, 2019 at 10:30 a.m. celebrated by Fr. Peter Olisa. Interment followed at St. Augustine R.C. Cemetery. Memorial Donations in Martha’s memory may be directed to St. Augustine Parish Centre (Flooring Fund).